Amulets are one of the most useful tools in the world of magick. By creating a physical outlet for a spell to be bound to, amulets allow users of magick to cast powerful, long lasting spells for truly amazing magickal results. In this book, the magickal practitioner is introduced to the common symbols used in creating amulets, many different methods of crafting them, and several sample amulets to demonstrate these principles to the practitioner. 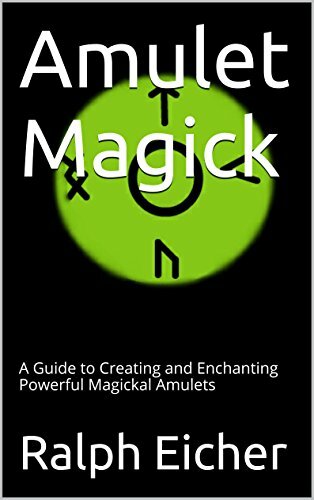 This book seeks to act as a complete instructional guide for all spellcasters who wish to learn to make powerful and effective amulets with real magick. This book includes protection, wealth, health, and victory amulet formulas, as well as several base principles that any spellcaster can use to create their own personal amulets.